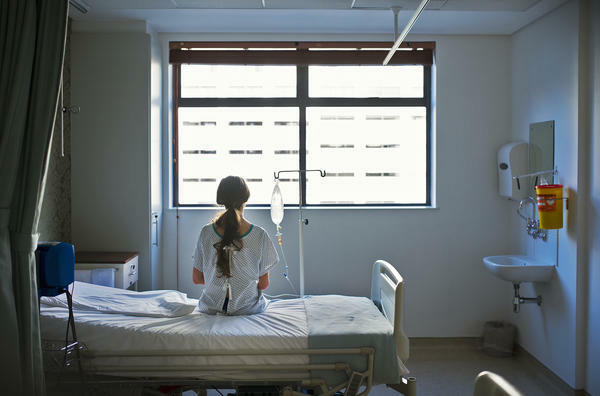 Without including a "control group" of sepsis patients who get the usual mix of drugs and fluids, even a big study comparing two other experimental approaches won't deliver helpful answers, critics say. The CLOVERS study seeks to answer a key question about sepsis, which is a common and life-threatening response to infection. Sepsis kills more than 250,000 Americans a year, often by triggering the failure of multiple organs. As patients' blood vessels get leaky as a result of sepsis, it becomes difficult to maintain safe fluid balance and blood pressure. Doctors use a combination of IV fluids and blood-pressure medicines called vasopressors, such as epinephrine and norepinephrine, to manage this life-threatening complication. But there is no consensus about the best strategy. Some doctors prefer to give lots of fluids and use drugs sparingly; others take the opposite approach. "So, trying to find the sweet spot — or the 'Goldilocks place' — is important," says Dr. Craig Coopersmith, director of the surgical transplant intensive care unit at Emory University Hospital and an expert on sepsis. The CLOVERS trial is an attempt to find that sweet spot. Patients who volunteer for the study are put into one of two groups: One gets plentiful fluids; the other gets limited fluids and more medication. Unlike most research, this study lacks a control group — people who receive the typically given amounts of IV fluids and drugs — as a comparison. "The problem is, both of those experimental ways for treating sepsis may do worse," says Dr. Michael Carome, head of the Public Citizen Health Research Group, which has lodged a complaint with federal health officials. "There may be higher mortality rates for both groups compared to usual care," Carome says, and without a comparison group there's no way to tell. And if people on one of these experimental treatments do better than those on the other, that doesn't mean it would be better than usual care, he says. This study can't answer that question. Carome is also alarmed that, in certain unusual circumstances, the protocol calls for holding off on treating dangerously low blood pressure for several hours. "No one caring for a sepsis patient would normally do that as part of usual care," he says. The study, designed at Harvard and funded by the National Institutes of Health, went through multiple reviews by people who concluded that it didn't pose an undue risk to patients. "But the fact that it got through these layers of review with these serious design flaws signals that our system for protecting human subjects is broken," Carome says. Coopersmith, who is not involved with the CLOVERS study, reviewed Public Citizen's complaint at NPR's request. He doesn't share Carome's sense of alarm. Coopersmith agrees that including a comparison group that received the standard of care would be a better study design. But, "there's no clear standard of care for the first 24 hours," he says. Standard protocols for sepsis treatment dictate what doctors should do during the first six hours of treatment only, whereas the CLOVERS study is guiding treatment over a longer time period. He says he agrees with Carome that the study won't clearly show that one of these experimental treatments is better than a more middle-of-the road approach to fluids and blood pressure medication; so sepsis doctors won't get clear guidance from the results. But the findings might help nudge doctors in one direction or another, he says, if it helps resolve the question of what's better — limited fluids or a lot? As for the concerns about how to deal with a patient with very low blood pressure, Coopersmith says, "in a very narrow patient population for a narrow period of time, there is a theoretical chance that someone could have what I would consider to be too low a blood pressure." If he were a doctor involved in this trial and encountered that, he says, he would deviate from the protocol and treat that patient with standard care. He expects his colleagues would do that as well. The study isn't designed the way he would have done it, Coopersmith says, but, he "would be comfortable enrolling patients in this trial." Dr. Nathan Shapiro, a professor of Emergency Medicine at Harvard's Beth Israel Deaconess Medical Center and one of the principal investigators for the CLOVERS study, stands by it. He declined a request for an interview, but sent a written response to NPR. "The study protocol was designed by expert clinicians in emergency and critical care medicine representing nearly 50 hospitals in the United States and follows a well-accepted design," he writes. A spokesperson for the federal Office for Human Research Protections says the office has not yet seen the Public Citizen complaint, but will review the allegations. Richard Harris can be reached at rharris@npr.org. Today, a consumer advocacy organization is asking federal health officials to halt a large medical study that's being conducted at major universities nationwide. Public Citizen says this study involving treatment for sepsis puts patients at risk and will at best produce confusing results. NPR's Richard Harris has the story. RICHARD HARRIS, BYLINE: First, it's important to note that sepsis is a huge problem. It arises when the body tries to fight back infection and overreacts. Sepsis is a leading cause of death, killing more than a quarter of a million Americans a year, and doctors don't agree about the best way to treat it. A large new study addresses one open question, which is, what's the right combination of IV fluids and drugs to maintain a safe blood pressure? CRAIG COOPERSMITH: So trying to find the sweet spot, or the Goldilocks place, is important. HARRIS: Dr. Craig Coopersmith, a sepsis expert at Emory University, says the CLOVERS trial is an attempt to do that. He's not involved in the study, but he reviewed a complaint about the trial lodged by the Public Citizen Health Research Group. Dr. Michael Carome, who heads that group, says his main concern is that the study is comparing two treatments - either using a little fluid or a lot - without comparing that to usual care. MICHAEL CAROME: The problem is both of those experimental ways of treating sepsis may do worse. There may be higher mortality rate for both groups compared to usual care. HARRIS: That might not be obvious. And if one turns out to be better than the other, that doesn't mean it would be better than usual care, he says. The study won't answer that question. He's also alarmed that in certain unusual circumstances, the protocol calls for holding off on treating dangerously low blood pressure for several hours. CAROME: And no one caring for a sepsis patient would normally do that as part of usual care. HARRIS: The study, designed at Harvard and funded by the National Institutes of Health, went through multiple reviews to conclude that it didn't pose an undue risk to patients. CAROME: But the fact that it got through these layers of review with these serious design flaws signals that our system for protecting human subjects is broken. COOPERSMITH: There's no clear standard of care for the first 24 hours. COOPERSMITH: In a very narrow patient population for a narrow period of time, there is a theoretical chance that somebody could have what I would consider to be too low of blood pressure. COOPERSMITH: I would be comfortable enrolling patients in this trial. HARRIS: One of the scientists at Harvard who developed the study declined an interview request, but defended its design in a written statement. A spokesperson for the federal Office for Human Research Protection (ph) says it has not seen the complaint but expects to review the allegations. Richard Harris, NPR News.